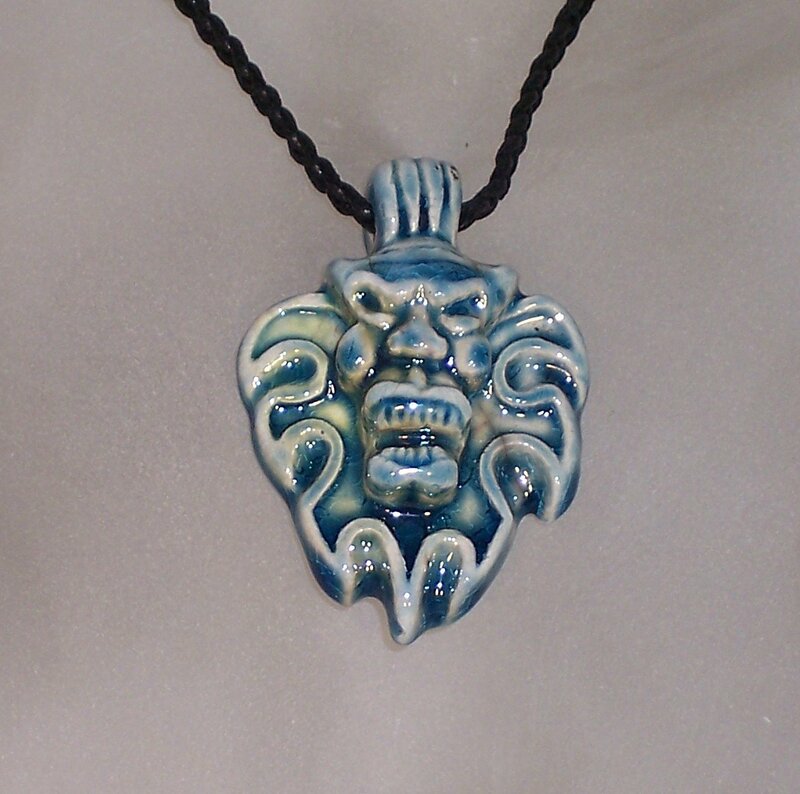 Ceramic pendant with a rich blue glaze features a stylized lion. Comes on your choice of a braided cotton cord or leather cord with silver-tone clasp. Measures approx 1.25 inches(3.5 cm) across, 2.5 inches(6 cm) in length.